Welcome to this professionally remodeled multi-level home on a highly desired cul-de-sac location in the well-established Green Mountain neighborhood and top ranking schools! Enjoy the high-end updates and ceramic wood tiling throughout! Incredibly spacious, open concept living with tons of natural light! The entertainer's kitchen features rich wood cabinetry, a large center island, tile back-splash, quartz counter-tops and stainless steel appliances. Spend family time in the cozy lower-level family room with wood-burning fireplace and double-doors exiting to the back yard with a covered patio! All bedrooms freshly painted with new carpet! The sizable master suite includes a dual vanity and step-in shower with gorgeous tile-work. The upper level hall bath also boasts a dual vanity and large soaking tub/shower combo. Finished basement includes additional bedroom, bonus/rec room, and unfinished storage space. 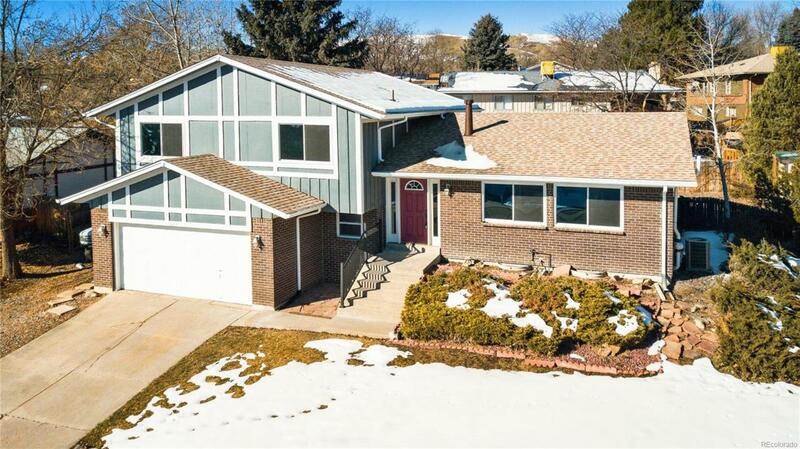 Close to Green Mtn, Red Rocks, 6th Ave, C470/I-70, Belmar Shopping! Offered by Titan One Realty Group.